Measuring spoon and clip in 1. 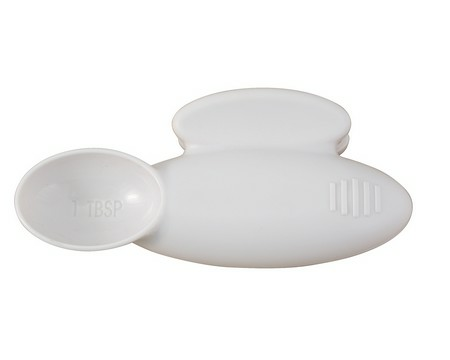 Measures 1 tbsp. Has a magnet on back.